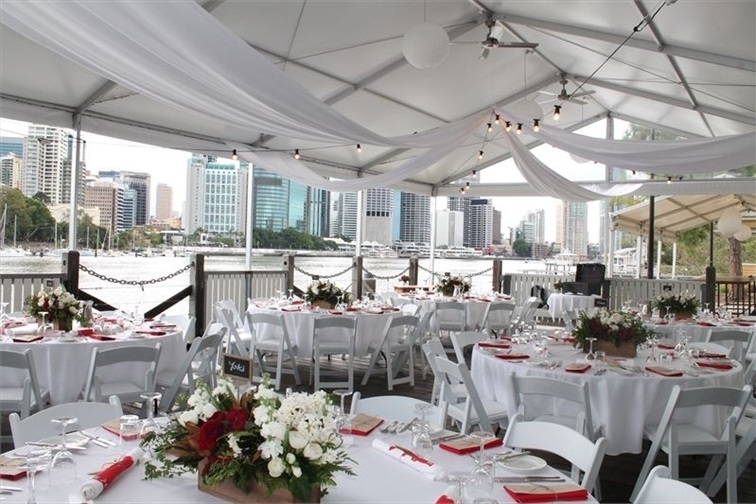 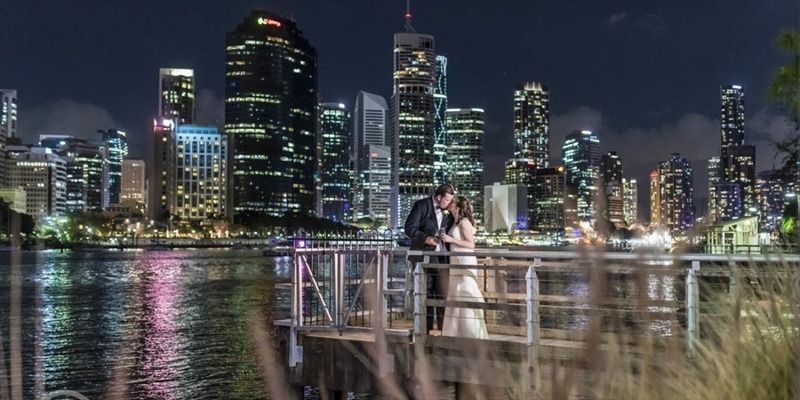 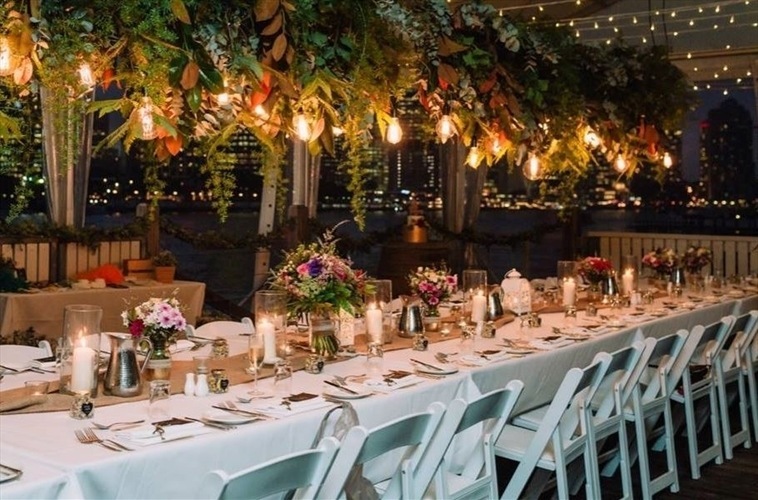 With spectacular views and an unparalleled location, Riverlife is Brisbane’s most unique and exciting wedding venue. 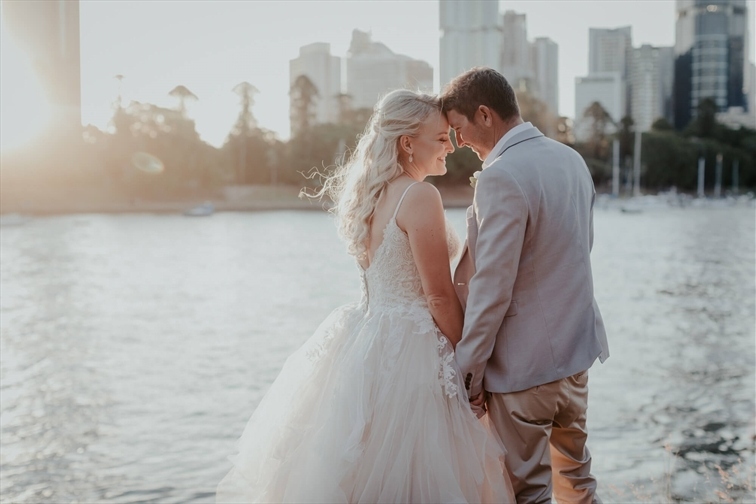 Located right on the Brisbane River in the heart of the CBD, Riverlife gives you not just the most exclusive location, but the most stunning backdrop for your special day. 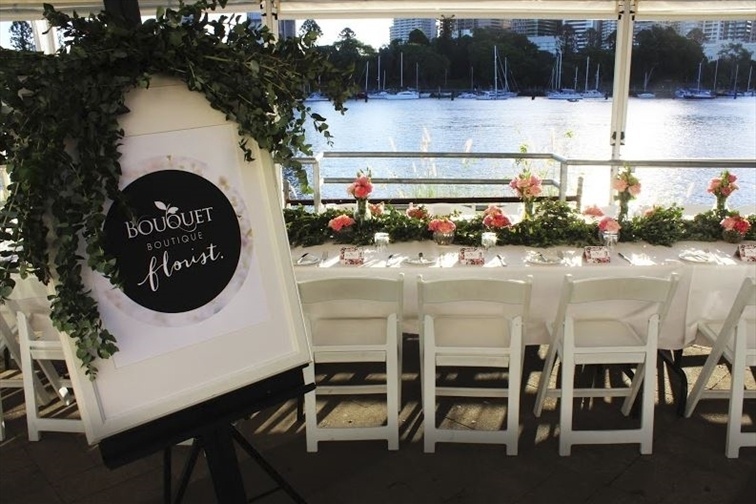 Celebrate, communicate and be inspired with the river city as your most extraordinary canvas. 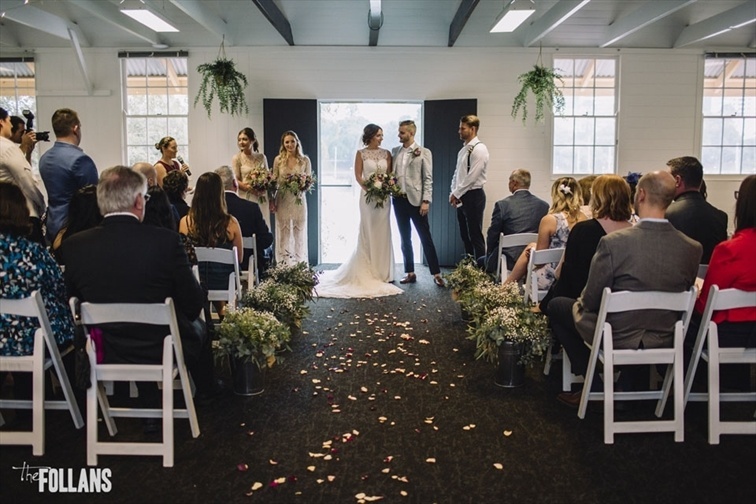 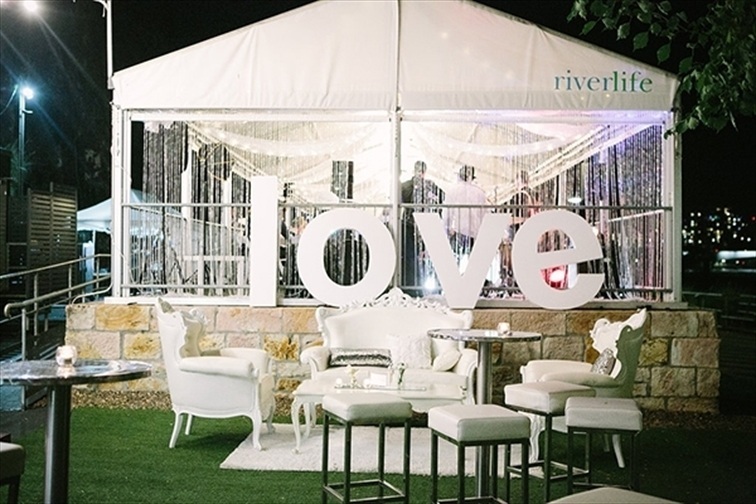 Riverlife has the perfect space for your wedding and reception, whatever the size and whatever the style. 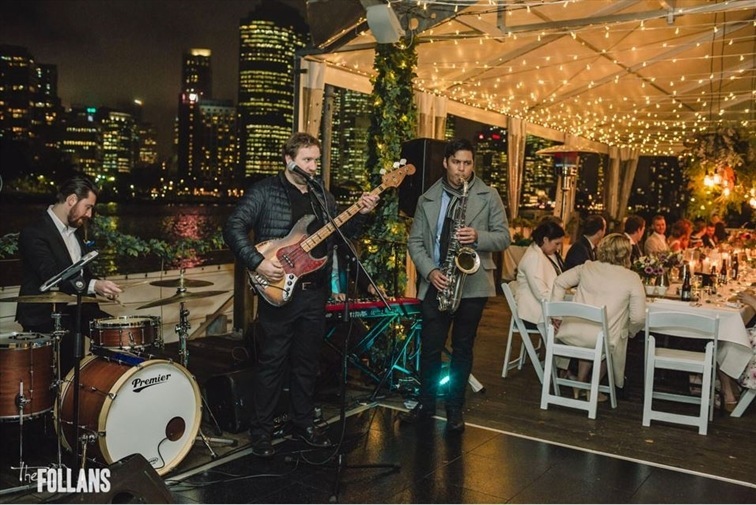 From our indoor, heritage-listed function room to our waterfront decks and sunset marquee, every one of our venues creates the perfect atmosphere with million-dollar views that will dazzle your guests. 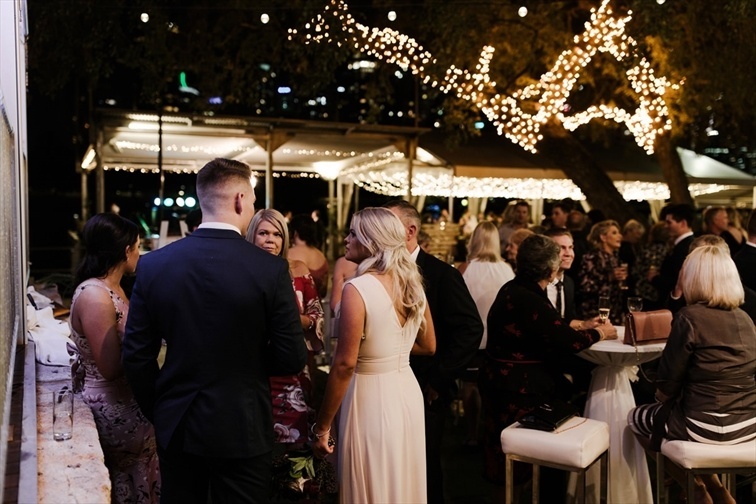 Celebrate with the city lights shimmering on the river behind you, or find your inspiration as you gaze over the natural beauty of the Botanic Gardens - Riverlife is a place like no other. 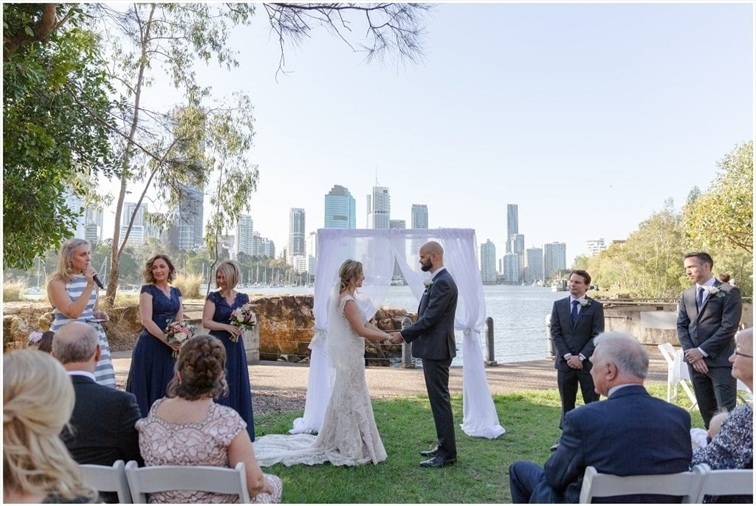 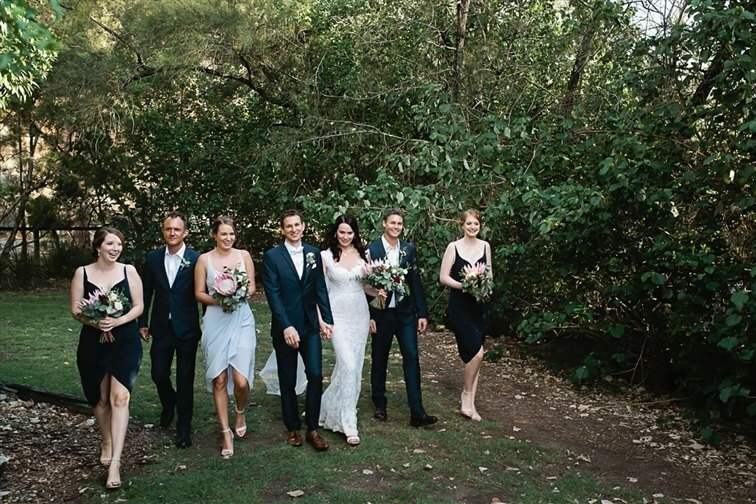 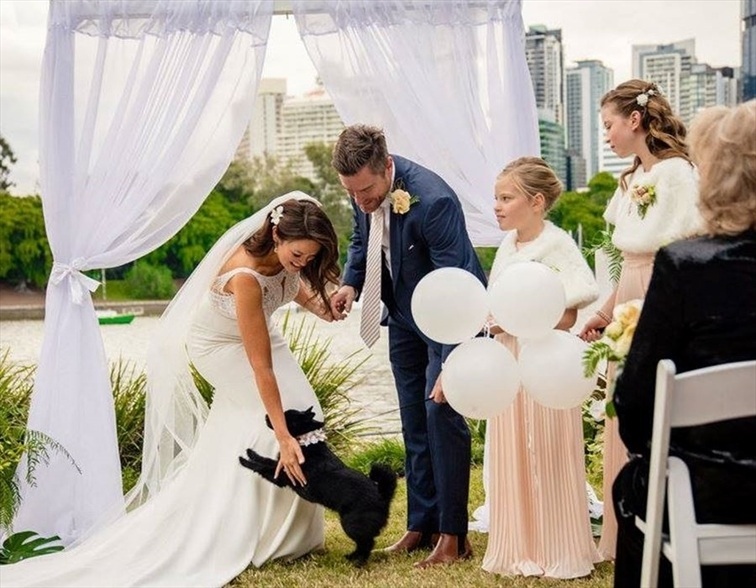 Take your vows in the verdant surroundings of the Kangaroo Point Parklands, and be embraced by the tranquility of the Brisbane River as it opens your ceremony to sensational panoramic views. 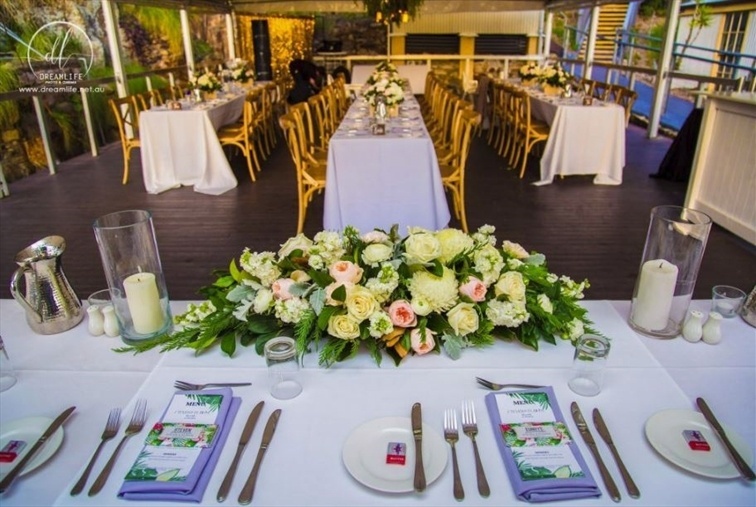 Our Executive Chef, Chris Ford, has crafted delicious menus with gastronomical delights to suit your occasion. 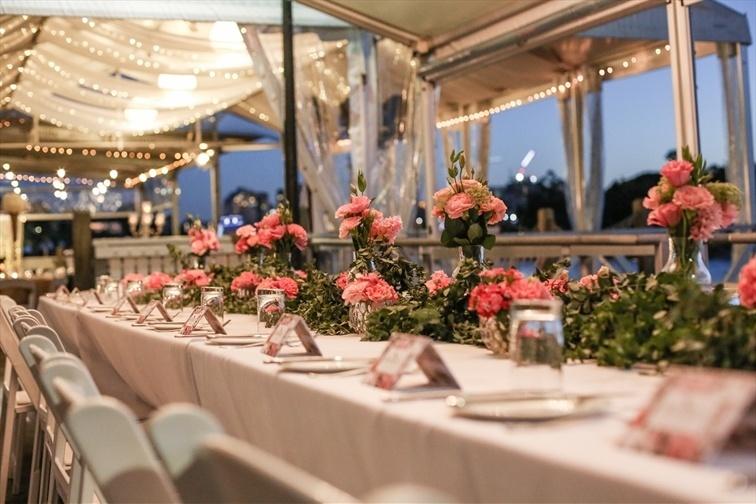 With vegetarian and gluten-free options available, your guests will experience a sumptuous dining experience by the beautiful Brisbane River. 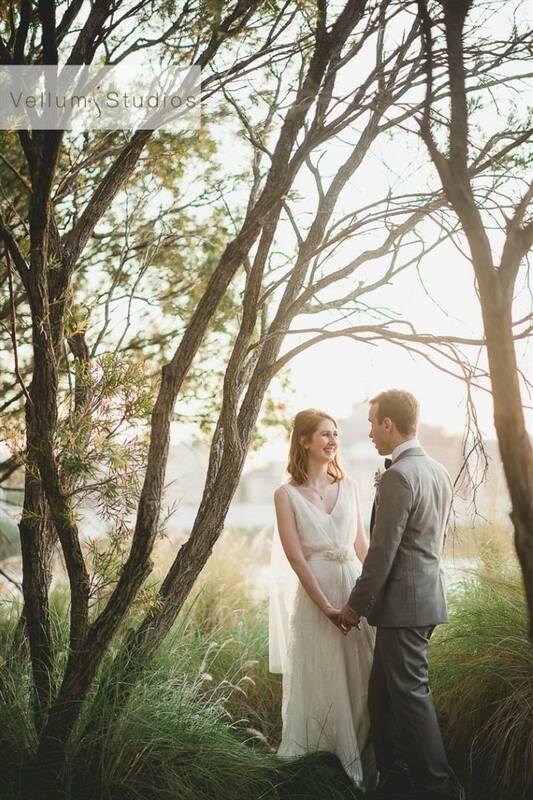 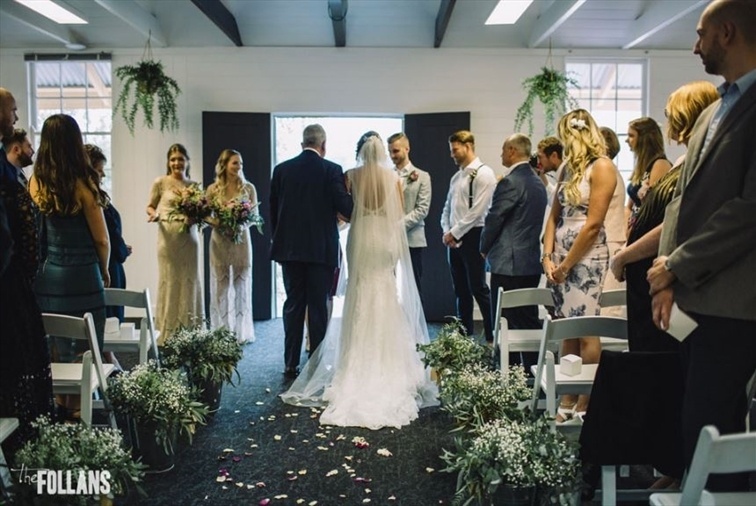 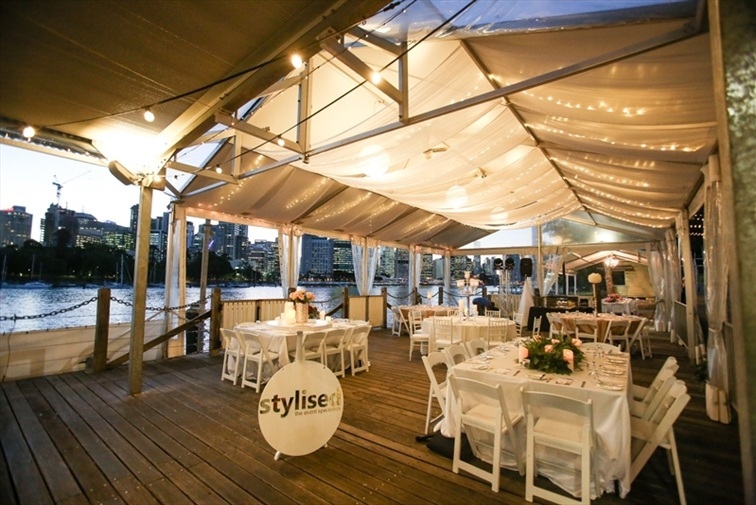 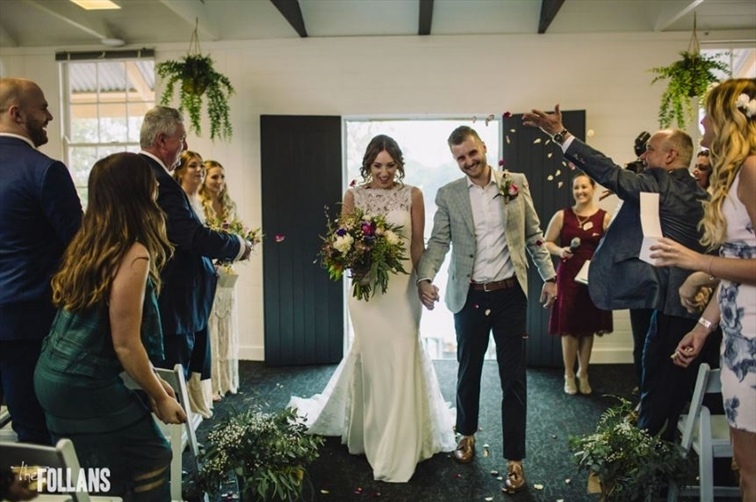 Riverlife is one of Brisbane’s only BYO wedding venues. 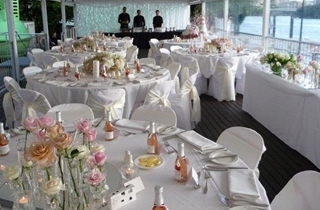 Our packages allow for the option of BYO of beverages for the entire 5 hour reception. 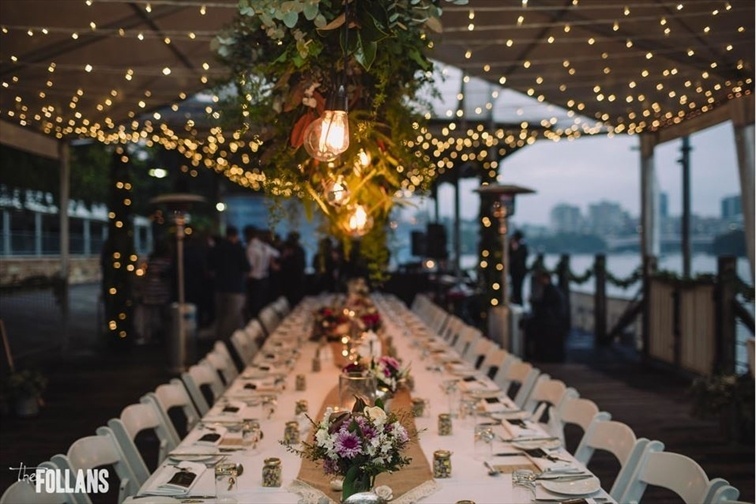 This allows you to choose the beverages you and your guests enjoy. 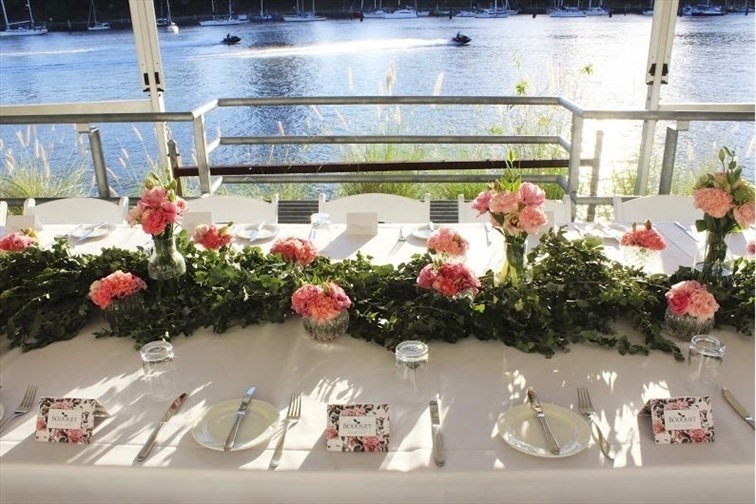 Riverlife's all inclusive wedding packages start from $93pp. 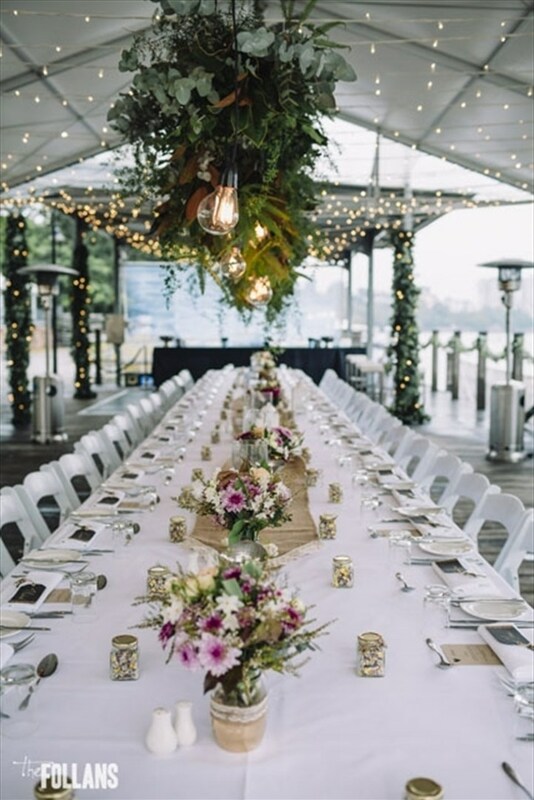 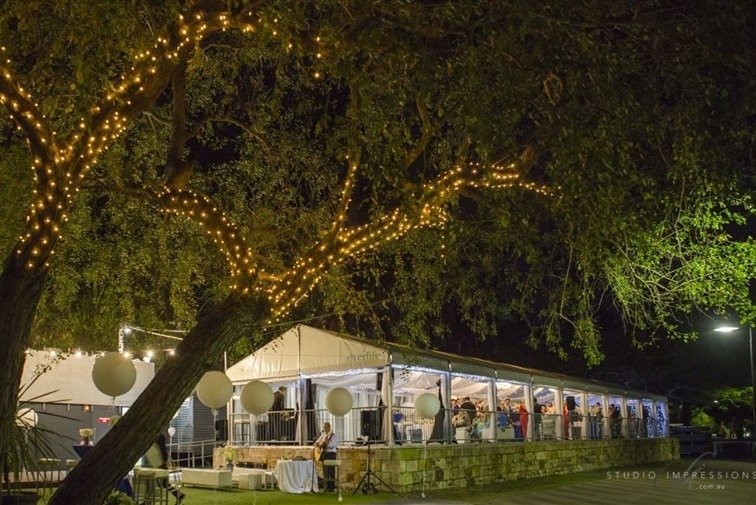 Packages include venue hire of one of our stunning riverside marquees, elegant furniture packages, table centre pieces, a 5 hour beverage package, delicious food, a full entertainment system and a dedicated Events Manager. 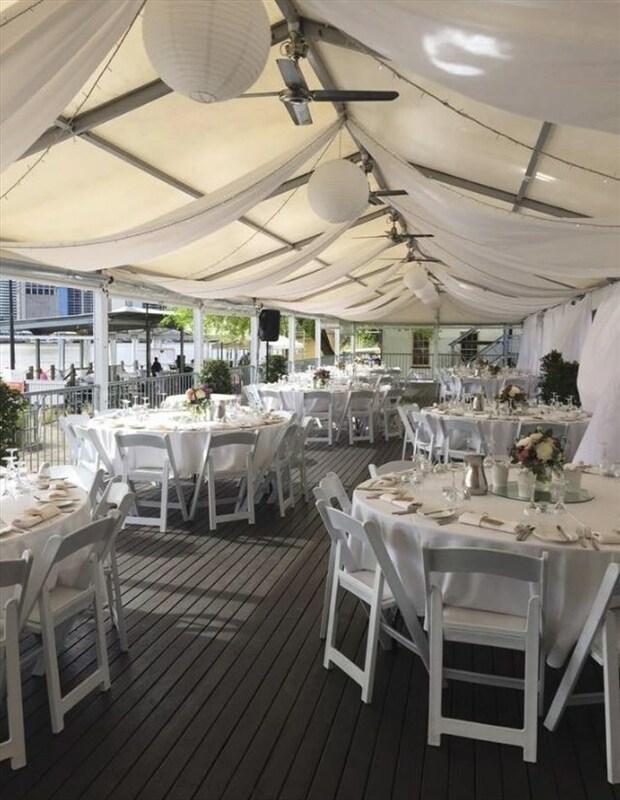 We offer 2 and 3 course menus, buffet as well as cocktail style menus. 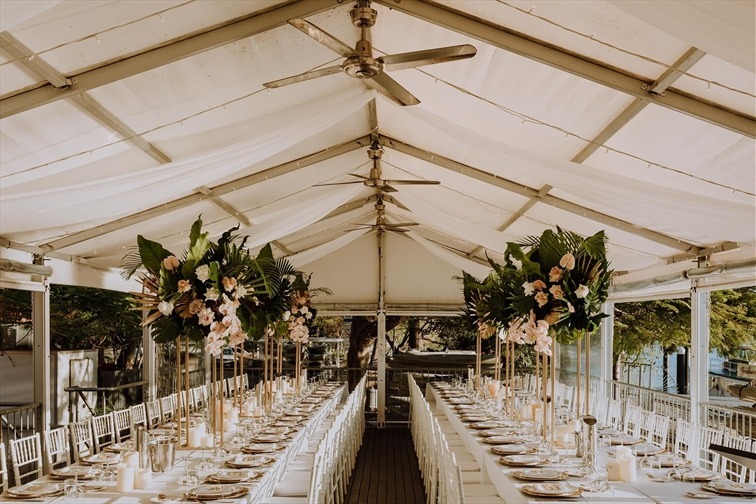 With accommodation for function sizes from 12 to 1000 guests, please choose from one of our carefully designed packages or let us help you develop a tailored wedding solution to suit your needs. 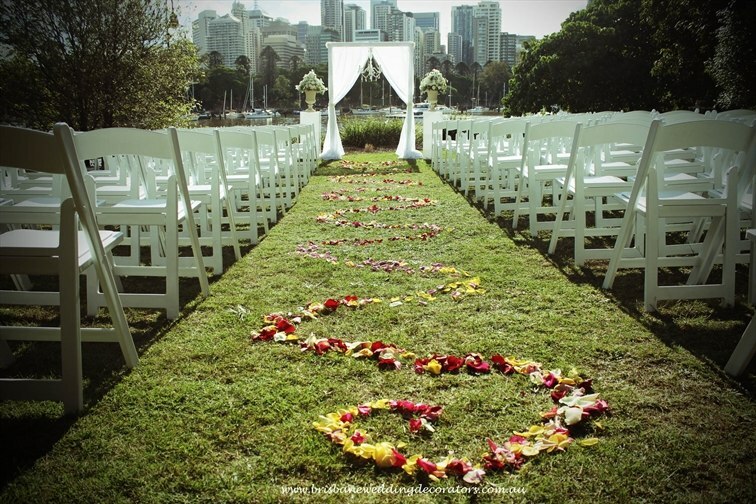 Our team will be delighted to assist you every step of the way to create and deliver a truly memorable wedding. 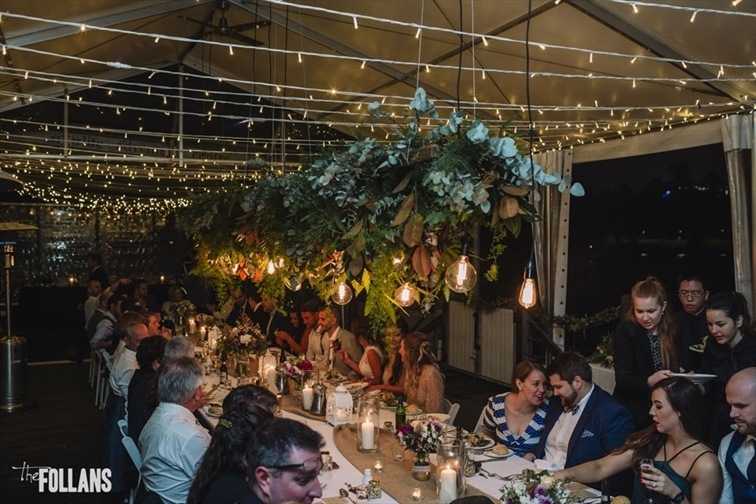 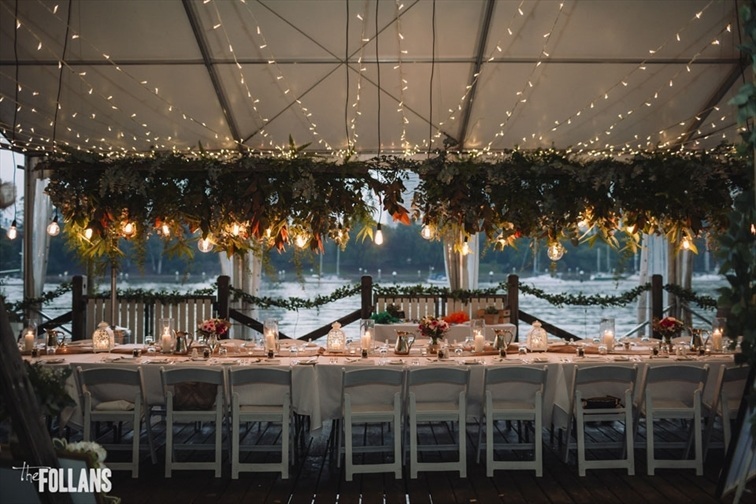 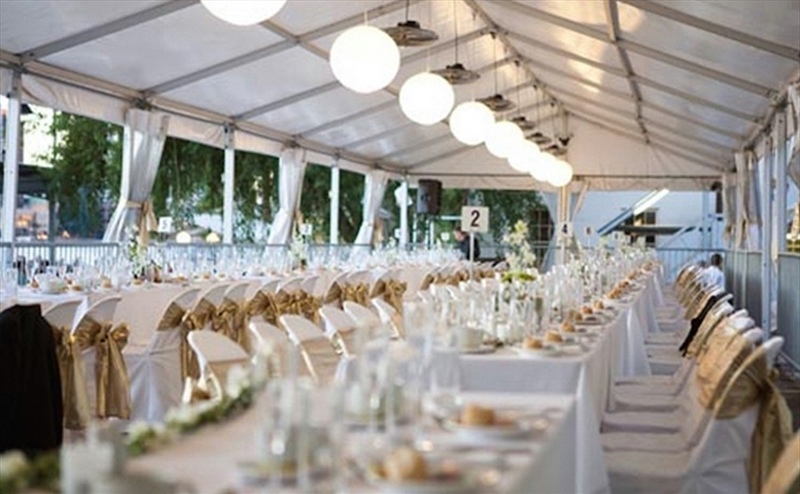 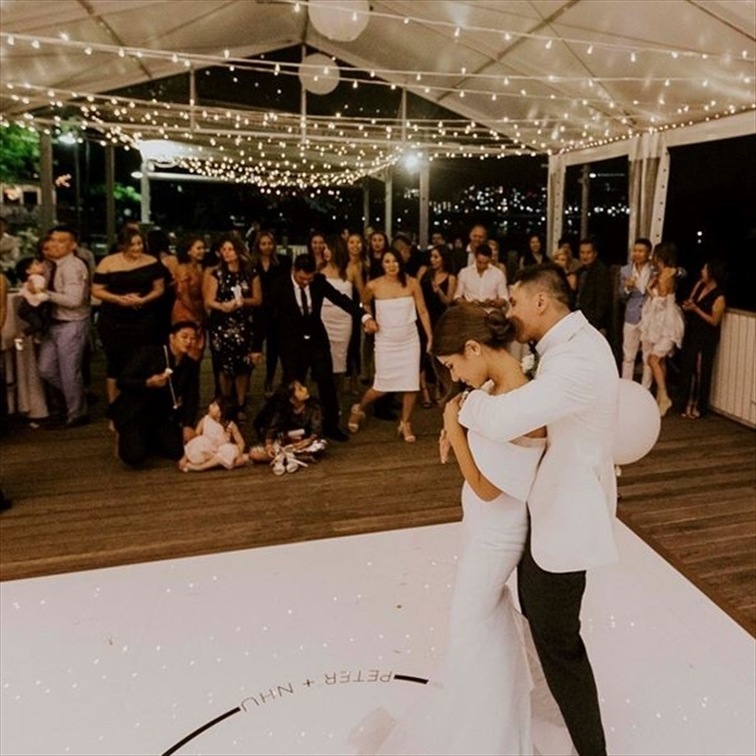 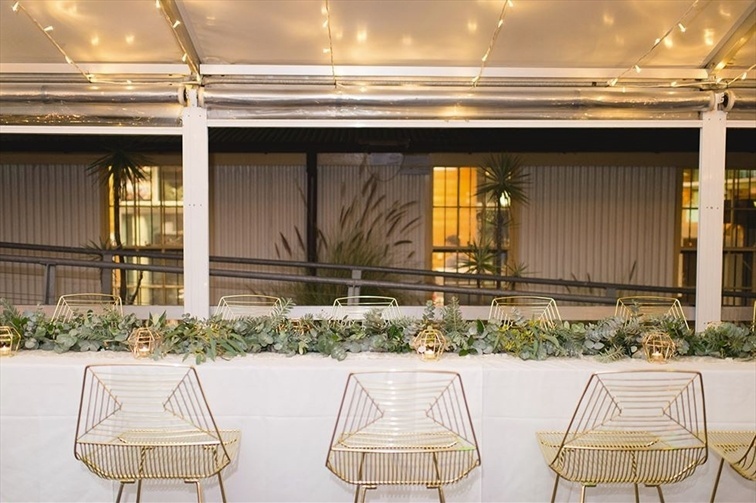 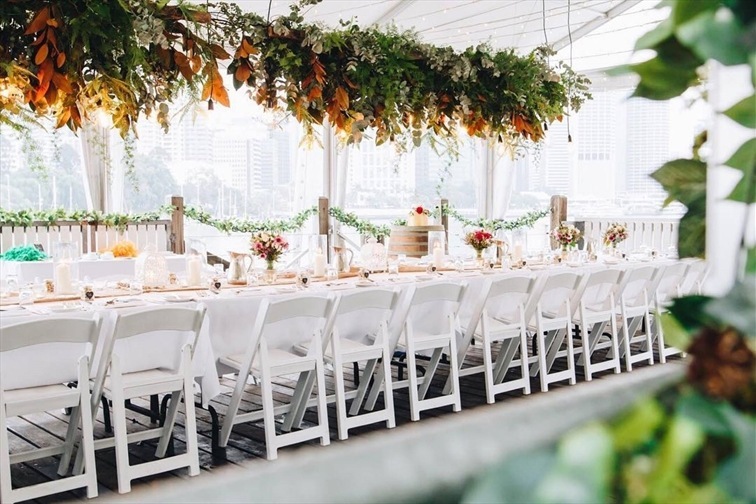 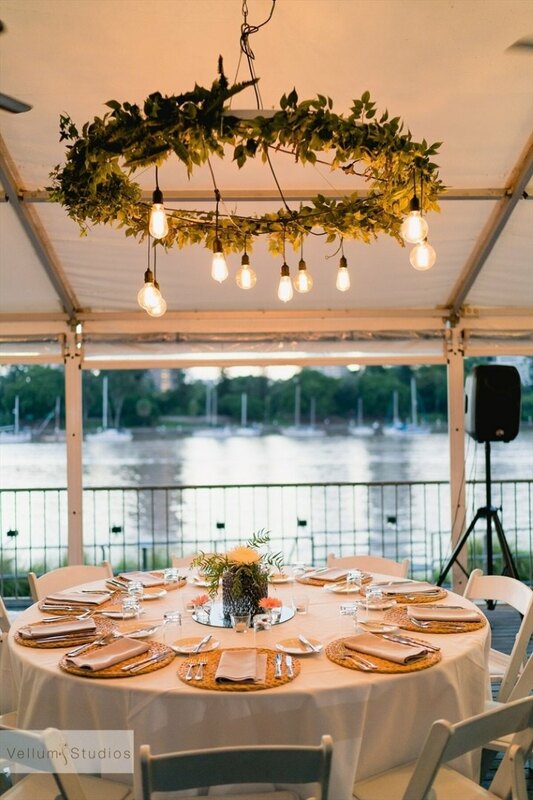 With the dramatic Kangaroo Point cliff face on one side, and stunning river city views on the other, the Sunset Marquee is the perfect venue for large events. 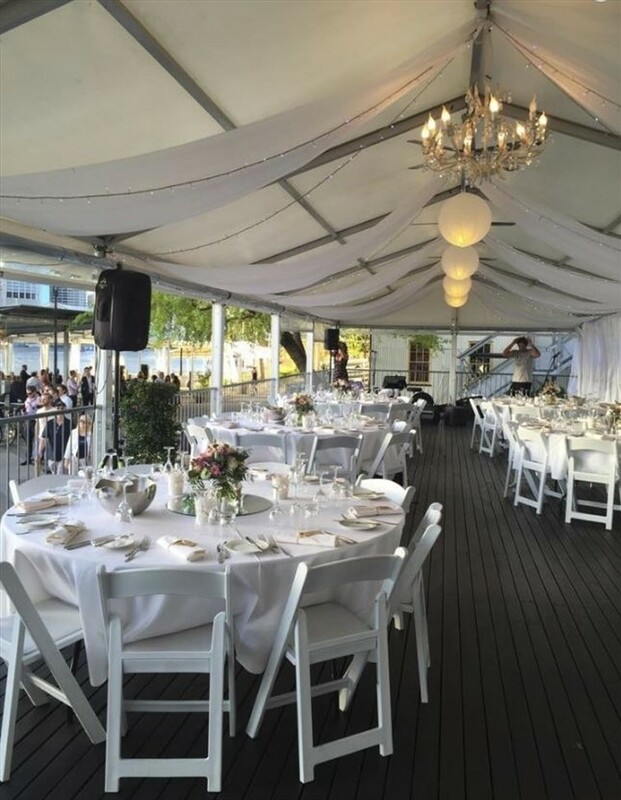 Spacious and fully enclosed if necessary, you can enjoy a spectacular sunset over the city while your event is bathed in golden twilight. 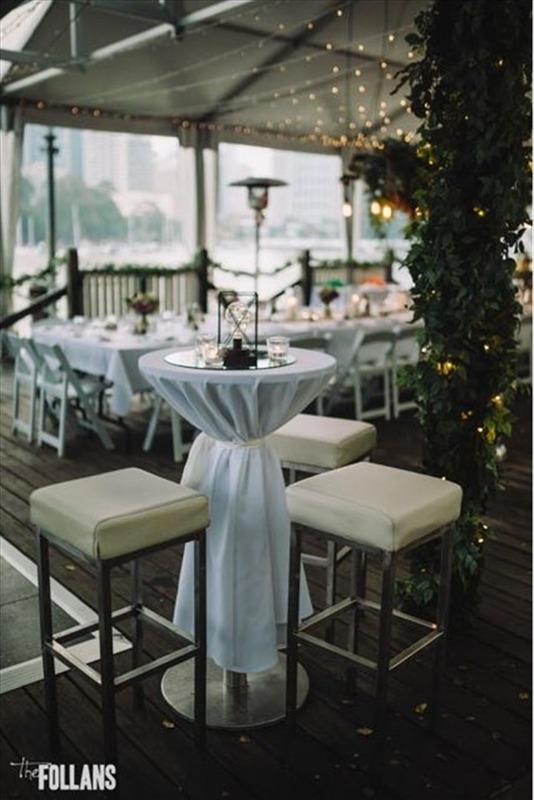 Poised on a rusticated sandstone plinth, this distinct venue awaits your grand occasion. 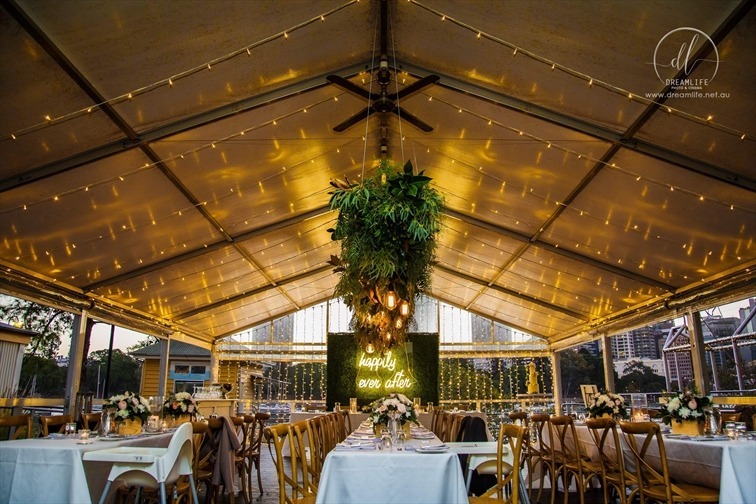 The beautiful, glittering lights of Brisbane city are almost yours alone with the City Lights Marquee. 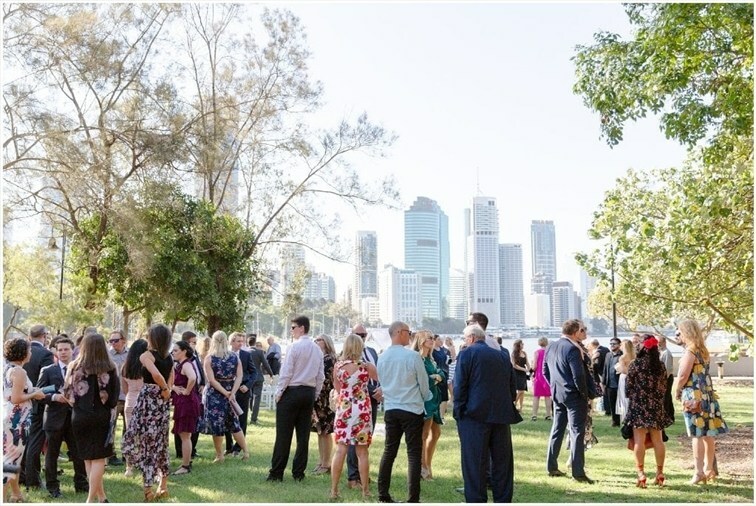 Featuring an uninterrupted view of the CBD and the river, you can indulge in Brisbane’s most exclusive location. 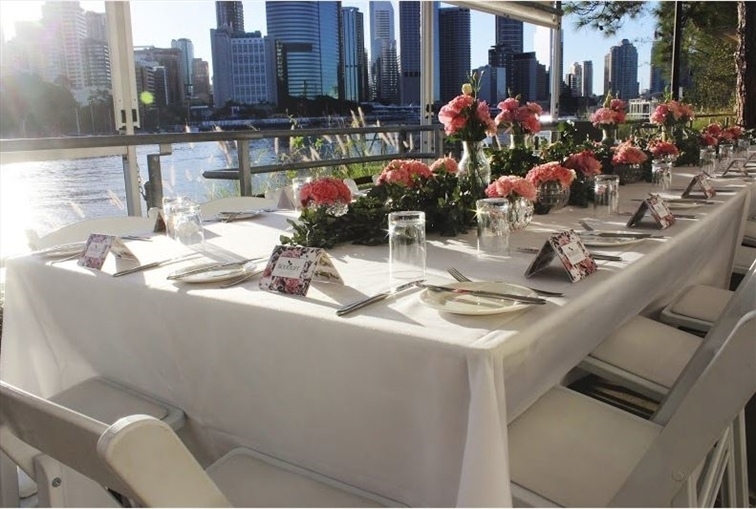 Be awe-inspired as you celebrate your event with the shimmering river reflections adding just a touch of magic. 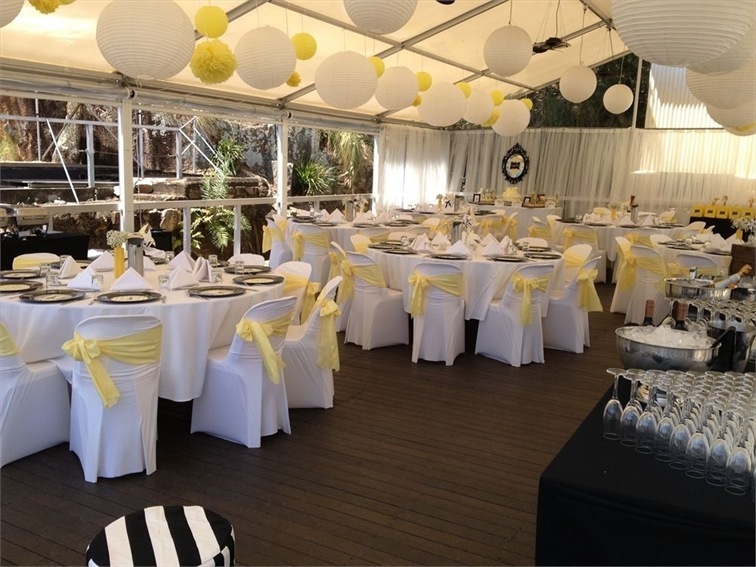 If you require additional space, the marquee has an adaptable mezzanine that can be used. 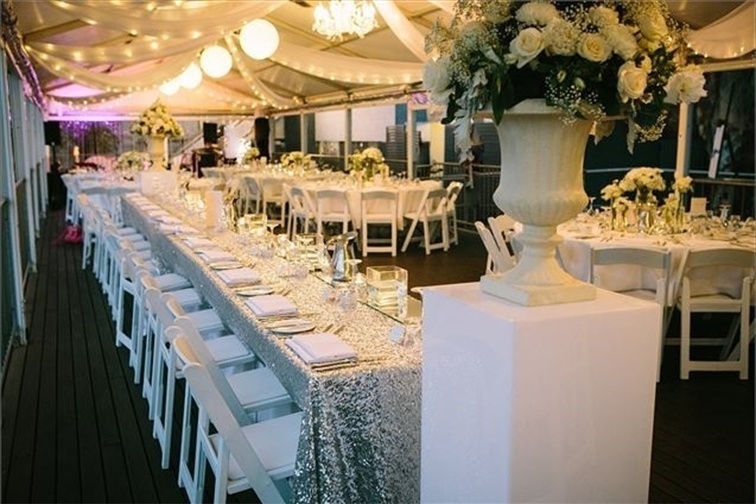 The Riverfront Deck will simply dazzle your guests. 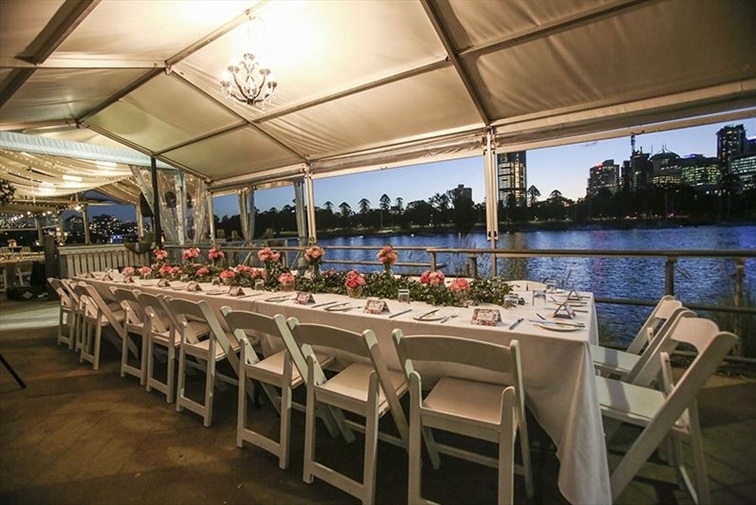 Built out over the river, and fully embraced by the astonishing CBD views, you’ll feel like you’re on a private yacht. 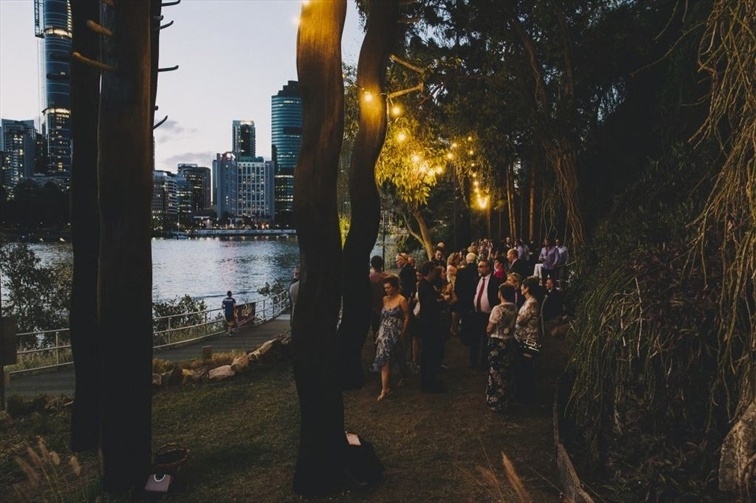 There is no better way to be right in the middle of the beauty that is Brisbane City. 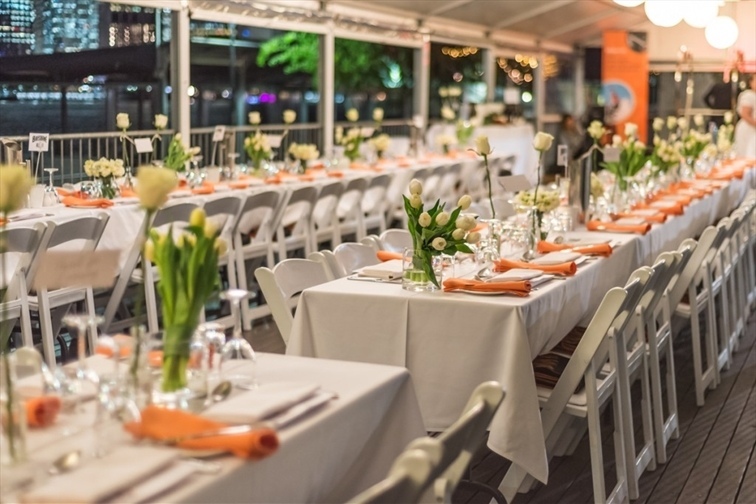 Give your wedding a very special atmosphere on the Riverfront Deck. 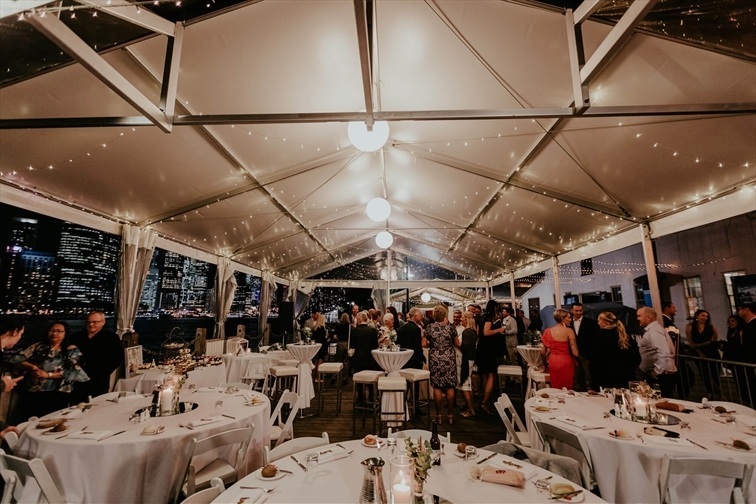 Enjoy all the spectacular views and magnificent atmosphere of the Riverside Marquee in a more intimate and enclosable space. 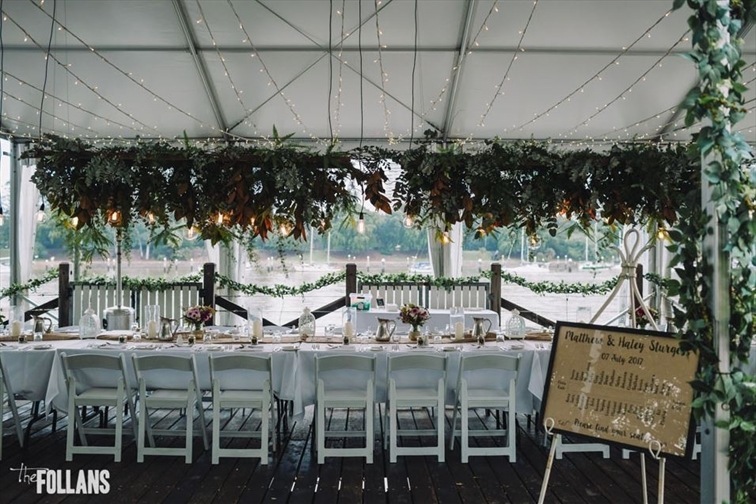 With its own private jetty, the Riverside Marquee offers you a cosy riverside venue with exquisite views enjoyed by the very few. 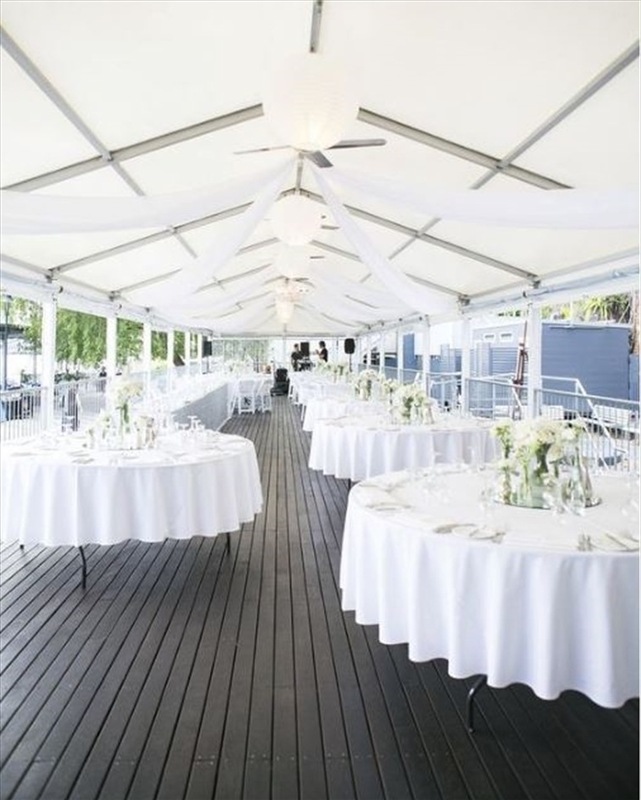 The Riverside Marquee is suitable for intimate weddings ceremonies and receptions. 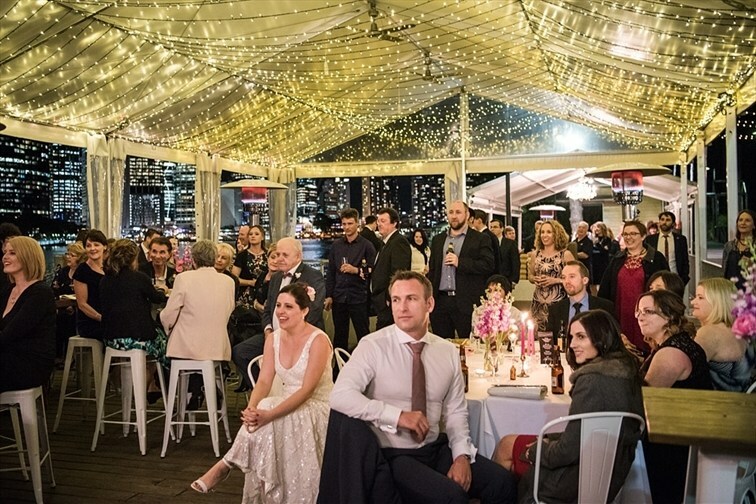 From a sit-down dinner to cocktail-styled events, the Riverside Marquee caters to all wedding event types. 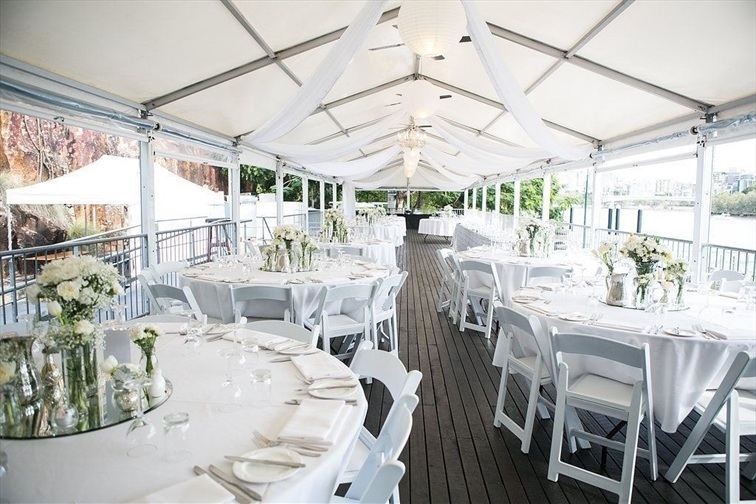 The Cannon Room is a dynamic indoor function space, located on the second floor of the heritage-listed Naval Stores. 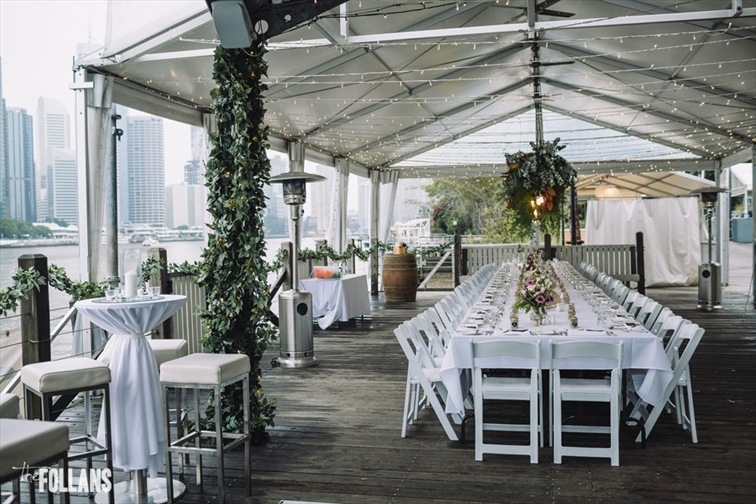 Boasting classic exposed beams, carpeted interior and sprawling windows – the space offers a charming view of the Brisbane River and city skyline, within a private setting.